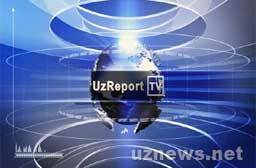 TASHKENT (Uznews.net) – A new commercial TV channel, UzReport TV, owned by Tashkent-based businessman Ravshan Jurayev, began broadcasting on 6 May. Uzreport TV is part of uzreport.com, founded by SAIPRO, a news and ratings agency sponsored by businessman and publisher Ravshan Jurayev. Jurayev also owns the Biznes-Vestnik Vostoka weekly and the insurance company Chartis Uzbekistan (formerly known as Uzbekistan American Insurance Group). Prior to the launch of the television channel, the uzreport.com news agency aired its TV programmes on the Tashkent-based commercial channel NTT. In an official statement, it was said that the new TV channel “was expected to become a modern business and news channel for the mobile business professional”. According to the press release, Uzreport TV’s schedule will include analysis of the economy, including overviews of the financial markets, the banking and the insurance industries, conversations and interviews with experts, as well as cultural and educational programmes. Some sources believe the TV channel, like other media projects by Jurayev, has no hope of becoming profitable. Read more about this here. Uzbekistan has 28 television broadcast stations. This includes one cable rebroadcaster in Taskent and approximately 20 stations in regional capitals. TV channels in Uzbekistan are: Aloqa TV, AYTV (Andijan Youth Television), Istiqlol TV, Muloqot TV, Nickelodeon Russia, Orbita TV, Qarshi TV, STV (Samarkand Television), TTV (Tashkent Television), TV Bakhoristan, Umid TV, UzTV (Uzbek TV & Radio Company), Uzbekistan TV, Vita TV+, Youth Channel, Zafarobod TV Station, Zarafshan TV Center.